Damon's volute Amoria damoni, photographed by Jan Delsing. Amoria is a genus of volutes found around Australia and southern Indonesia. 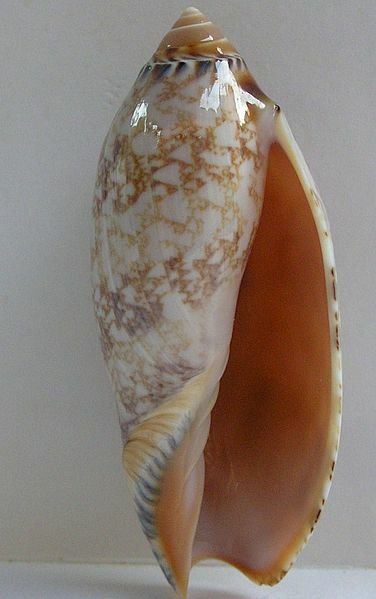 Members of this genus have a smooth, conical protoconch, a solid, glossy, fusiform shell and an elongate aperture with four distinct columellar plicae.